Home > Blog > Financial Reporting > Statement Preparation & Reporting > When Does Segment Reporting Make Sense? When investing in or acquiring businesses, interested parties often want to see financials presented as segment reporting with results broken out by business segments and operating units. This gives them greater clarity regarding the financial performance of specific segments, divisions or subsidiaries, which can help them make better-informed decisions about the attractiveness of the company as an acquisition candidate. Publicly held companies are required by the SEC to perform segment reporting, but private entities aren’t. However, if you are planning to sell your business in the near future, you should consider adopting segment reporting. Doing so now will make it easier for you to provide the kind of segment- and unit-specific financial performance data and segment disclosure that potential acquirers will want to see. Under generally accepted account principles (GAAP), the financial results of two or more segments should be aggregated if they have similar products, services, customers, processes, regulatory environments and distribution methods. If a segment accounts for at least 10 percent of revenues, profit or loss, or combined assets of the entity, it should be reported separately. Products and services sold by segments. Factors considered in identifying segments. Segment revenue, interest expense, profit or loss, and depreciation and amortization. How segments are organized — for example, by product line, geographic region, etc. Material expense items for segments. Segment income or income tax expense. Segment reporting may require a significant commitment of manpower. Your company may not possess the management structure needed to successfully implement segment reporting. Your general ledger may not support segment reporting. Also, there needs to be greater coordination between all members of the finance team to ensure that the segment reports are delivered on a timely basis. Failing to meet these challenges can result in several negative impacts on your company. For example, the segment reporting may be performed too late to result in any changes, or the data may simply not be used. And if the manpower commitment is too large for your finance department, other important deadlines may be missed. One way to meet these challenges is to bring in a project CFO or part-time CFO from a CFO services firm to help you implement business segment reporting. This high-level financial professional will work in tandem, modifying the financial system so that segment reporting is made easier by structural changes in the accounting system. He or she will have a better understanding of the important issues facing divisions and be able to get the operating manager’s focus properly aligned. 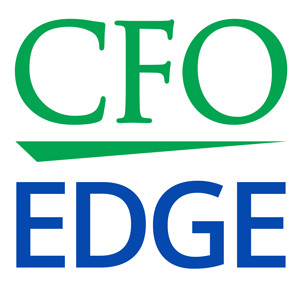 The on-demand CFO will also have the vision to design segment reporting and provide the data that will be of greatest use to the operating manager, as well as the ability to structure work tasks within the finance department to insure maximum synchronization that allows for timely delivery of financials. Timely and accurate financial reporting that is of value to your operating managers. Relevant information that will focus managers on the key issues affecting the business and be a catalyst for change. A more robust accounting system that provides greater utility. More financially astute operating managers who are ready to handle the additional challenges of running your business. A business that is poised for growth. If you are planning to sell your business, you should consider adopting business segment reporting. Doing so now will make it easier for you to provide the kind of segment- and unit-specific financial performance data and segment disclosure that potential acquirers will want to see. Implementing segment reporting will provide you with a more robust accounting system with greater utility and a business that is poised for growth. A project CFO or part-time CFO can assist with adoption of segment reporting.